After two high-profile rooftop solar regulatory decisions in Hawaii and Nevada, utilities and renewable energy advocates turned their sights on California, the nation’s leading solar market. California has been a leader for years in preparing the grid and utility practices for distributed generation, but at the beginning of 2016, one question preoccupied the sector: On the heels of significant cuts in net metering credits vital to solar’s growth, would California regulators preserve retail rate remuneration for rooftop systems? Solar backers lobbied the California Public Utilities Commission hard at the end of last year, delivering wheelbarrows (http://www.utilitydive.com/news/california-solar- advocates-bring-wheelbarrows-of-petitions-to-net-metering/408790/) full of more than 130,000 petitions from state solar customers asking that retail rate remuneration be preserved in the state. In December, regulators issued a proposed decision (http://www.utilitydive.com/news/california-regulators-propose-to-keep-retail-rate-net- metering-for-solarwi/410873/) that would preserve retail rate net metering — along with a few changes to customer fees and rate structures. The state’s investor-owned utilities (IOUs) responded in kind, filing comments (http://www.utilitydive.com/news/california-solar-advocates-bring-wheelbarrows-of- petitions-to-net-metering/408790/) with the PUC earlier this month that proposed to gradually reduce the rates paid to rooftop solar systems for the energy their systems send back to the grid. Retail rate net metering, they argued, shifts undue costs for grid upkeep to non-solar owners, since consumers with rooftop systems pay less to the utility. The months of lobbying culminated in a tense meeting of the CPUC last week, and in the end the solar backers prevailed. In a narrow 3-2 vote, the regulators decided to sustain the net metering credit at the retail rate until 2019. While regulators in other states have found the utility “cost shift” argument persuasive, the CPUC largely rejected the proposals from California’s Big Three IOUs, which argued that solar owners don’t pay their fair share for grid upkeep. The ruling in California’s landmark Net Energy Metering (NEM) 2.0 Docket 14-07-002 (http://delaps1.cpuc.ca.gov/CPUCProceedingLookup/f? 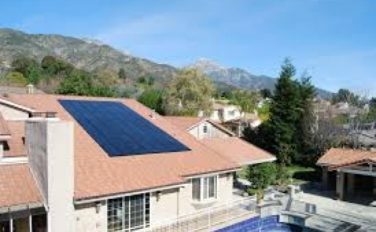 p=401:56:6612135327632::NO) “appears to largely maintain the current program, penalizing the 95% of our customers who don’t have solar by adding an extra $300 on their utility bills by 2025,” said Amber Albrect, spokesperson at San Diego Gas and Electric (SDG&E). But for the solar sector, the decision is a welcome firewall against utility efforts to reduce remuneration rates for solar owners. The 150-plus page “Decision Adopting Successor To Net Energy Metering Tariff (http://docs.cpuc.ca.gov/PublishedDocs/Published/G000/M158/K060/158060623.pdf) ” concludes the first stage of California’s proceeding on remuneration rates for electricity from distributed solar installations. The proceeding was initiated by Assembly Bill (AB) 327 (https://leginfo.legislature.ca.gov/faces/billNavClient.xhtml?bill_id=201320140AB327) , passed in 2013, which required the Commission to develop a new “contract or tariff” that would sustain the growth of rooftop solar and be fair to all electricity customers, including those who do not own solar. AB 327 preserved the previous law’s cap on net metered systems at 5% of aggregate customer peak demand and required that the commission establish the new remuneration credit before the cap was reached, or by July 1, 2017. After the IOUs warned the regulators (http://www.utilitydive.com/news/as-solar-cap-looms-installers- ask-ca-regulators-for-interim-metering-measu/406074/) they were rapidly approaching their caps at the end of the summer, the pressure was on for the commission to find a successor tariff. Besides keeping the current NEM retail rate tariff in place through 2019, the decision prohibits “demand charges, grid access charges, installed capacity fees, standby fees, or similar fixed charges on NEM residential customers” until the Commission concludes how those rate modifications will impact all residential customers (http://www.utilitydive.com/news/why-srps-controversial-demand-charge-unlocks-a- huge-opportunity-for-solar-/372548/) . But it does, however, permit demand charges for non-residential customers. requires utilities to make solar available to residents of multi-tenant buildings through virtual net metering (http://www.utilitydive.com/news/how-virtual-net-metering-will-save-low-income-massachusetts-residents-60- m/342105/) (VNM) and net metering aggregation (NEMA). Importantly, the decision asserts that findings in other regulatory proceedings may influence net metering policy down the line. “[A] better understanding of the impact of customer-sited distributed resources (http://www.utilitydive.com/news/how-utilities-and-regulators-differ-in-their- approaches-to-distributed-ener/412612/) on the electric system will be developed from work currently under way but not yet completed in other Commission proceedings,” regulators wrote. In anticipation of the 2019 review, the regulators ordered the IOUs and regulatory staff to begin working on valuation methodologies (http://www.utilitydive.com/news/the-top-5-trends-in-distributed-energy-policy-and- rate-design/409639/) and developing proposals for unresolved issues such as NEMA, VNM, and alternatives for residential customers in disadvantaged communities. A group of prominent environmental and solar industry advocates pushed regulators to preserve the retail rate NEM credit. They included the CPUC’s Office of Ratepayer Advocates (http://www.ora.ca.gov/) (ORA), the California Solar Energy Industries Association (CalSEIA), the national Solar Energy Industries Association (SEIA), solar advocacy group VoteSolar, Sierra Club, concerned Federal Agencies, The Alliance for Solar Choice (TASC), and the Natural Resources Defense Council. PG&E proposed allowing customers “to serve their onsite energy needs directly” and crediting exported solar energy-generated electricity at $0.097/kWh. It also proposed a monthly demand charge of $3/kW and a monthly true-up of credits. according (https://www.eia.gov/electricity/monthly/epm_table_grapher.cfm?t=epmt_5_6_a) to the EIA. SCE proposed a similar onsite supply provision. Its credit mechanism contained a “renewable energy credit (http://www3.epa.gov/greenpower/gpmarket/rec.htm) (REC) adder” of $0.01/kWh if the customer’s generation could be applied toward the utility’s state renewables mandate obligation. The credit for exported solar energy-generated electricity would be $0.07/kWh. It proposed a monthly demand charge, termed a grid access charge, of $3/kW. SDG&E proposed a wholesale rate credit for exported solar energy-generated electricity of $0.04/kWh, a system access fee of $21/month and a grid use charge of $9/kW/month. It represents innovation but, according to the commission’s decision, would require valuation tools that do not yet exist. Because TURN itself acknowledged the concept “will not provide sufficient incentive for the continued growth [of solar],” the decision postpones dealing with VODE until the 2019 proceeding. CalSEIA’s conclusion, using a different set of parameters, is the cost shift would alter non-solar owner’s bills less than 1%. Retail rate NEM credits have allowed over 400,000 customers (https://www.californiasolarstatistics.ca.gov/) access to on-site renewable generation. Despite the proceeding’s AB 327-ordered focus on “what is now known about the economic values and costs,” the commission decided, only further analysis will provide adequate value and cost data. Most stakeholders accepted the last four. The IOUs argued transmission charges should be included because solar users rely on system infrastructure when they are not using self-generated electricity (http://www.utilitydive.com/news/what-comes-after-net- metering-hawaiis-latest-postcard-from-the-future/407753/) . Solar advocates argued owners of customer-sited generation should be rewarded for reducing the need for transmission infrastructure. The commission accepted the solar advocates’ argument. By excluding the transmission charge, the NBCs result in an NEM credit reduction of $0.02/kWh to $0.023/kWh instead of a reduction of $0.042/kWh to $0.05/kWh, according to CalSEIA Policy Director Brad Policy Director Brad Heavner. Instead of adding a $9/month to $18/month charge to solar owners’ bills that would have “a huge impact on the solar market,” he said, the commission chose a $5/month to $9/month charge. In this decision, the commission doubled down on its emphasis (http://www.utilitydive.com/news/california-regulators-mandate-major-residential- electric-rate-reform/401793/) by ordering that TOU rates be mandatory for solar owners. The ruling also provides guidance to the utilities on how to structure the TOU rates. “All of us are pro-solar but the amount being paid for solar is just too high,” Commissioner Michael Florio (http://cpuc.ca.gov/florio/) said in voting against the order. ”There is a lot to like in this ruling because it preserves customer choice, which is paramount,” he said. He also approved of the mandatory TOU rates and the requirement to move toward time and location specific values. This decision doesn’t answer all the questions, but it does move in the right direction at this time of transition, Commissioner Carla Peterman (http://cpuc.ca.gov/peterman/) said in voting for the ruling. Commission Chair Michael Picker (http://cpuc.ca.gov/picker/) and Commissioner Liane Randolph joined Commissioner Peterman in voting Yes. Commissioner Catherine Sandoval joined Commissioner Florio in voting No. “It is clear the commission is not comfortable with the variety of value and cost estimates for this resource,” Peterman said. The commissi mon expects progress on that in the next two years, she added.